I have a specific format for my Writer Wednesday posts, but I’m going to shake it up a little today. First the post, then more about Carol. For more than thirty years I lived in a quaint village in New York on the Canadian border. Never a boomtown, Malone, nevertheless, thrived for at least half that time. Little businesses crowded Main Street. Big businesses lined the Salmon River (without polluting it), and the people, though not prosperous, prospered. Then big business moved out. Our shoe factory shipped its business overseas. The dress factory did the same. Small dairy farms, no longer able to earn a living, folded, and box stores, not owned by the little guy, sucked up their fertile fields. The little business owner followed the farmers. Those who didn’t retire went bankrupt. The answer is simple. Slavery is cheap. Overseas, no regulations exist on the length of the work day, overtime, health benefits, or environmental protection. Companies erect structurally compromised factories with poor lighting and unsanitary conditions. Little children with little fingers perform the jobs we banned here a century ago. They get paid. So did the American slaves. We gave them food, shelter, and clothing and allowed them their lives provided they did our bidding. These people overseas get the equivalent, and it costs Americans much less than doing with less. Because we do not extend to foreign peoples the same safeguards we demand, companies find it cheaper to extend most favored nation status to China and to import its goods and processed food. And this is what concerns me. The Bible is clear, “For Scripture says, “Do not muzzle an ox while it is treading out the grain,” and “The worker deserves his wages”” (1 Tim. 5:18). We’ve become comfortable with owning lots of goods and paying little for them. We don’t buy Fair Trade because it costs too much. We close our eyes to the squalor of the world because our pocketbooks will be affected. We do not look at the consequences. American jobs die. Vibrant towns across America become welfare havens whose only jobs are government run. Malone is a shell of what it once was—a village of crumbling buildings and unemployment. Worse than the death of American economics, our policies force others to live as our virtual slaves. “For all that is of the world—the desires of the flesh and the desires of the eyes and the pride of possessions—is not from the Father but is from the world” 1 John 2:16. Lord God, you say Better is a little with righteousness than vast revenues without justice. Let me remember the price paid by many so that I can enjoy the plenty You’ve given. Give me a prayer for the downtrodden and open my eyes to ways that I can make this world a better place for all your peoples. In truth, McClain’s wacky and wonderful. As a youth, she believed herself an odd-ball, craved being like others. She even practiced writing in clichés because her classmates did, and if they thought the phrases were cool, they had to be. Fortunately, that phase passed, and she now celebrates her own diversity. She plays bassoon, creates stained glass, enjoys high ropes, loves to run and, of course, she writes. For thirty years she attempted to teach teenagers the joys of the English language. Judging from the prevalence of confusion with their, they’re, and there–not to mention your and you’re and the rest, she hasn’t succeeded much. She’s now on a quest to make magic with her own words. And with her words, she hopes to show her readers truths they may not have been aware of. 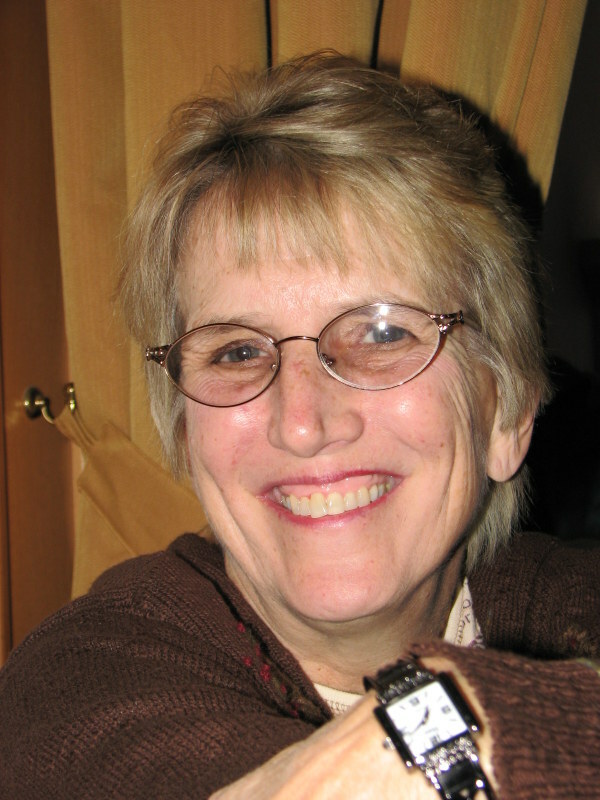 For years, she’s been interested in the Fair Trade Movement and Not For Sale. Those ideologies sparked the idea for her latest novel due out on September 11. 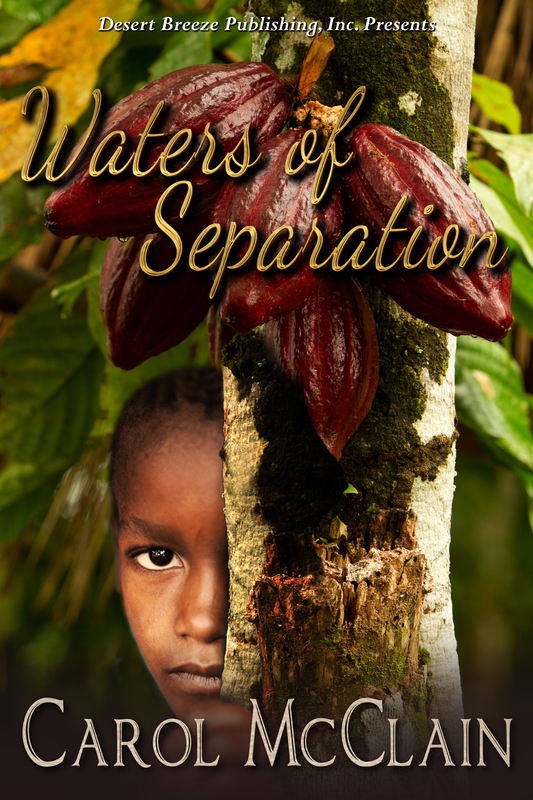 Waters of Separation deals with child slavery, and more predominately, the lives of people who slave for our chocolate addiction. 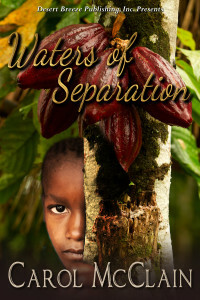 It’s set in the Ivory Coast where most of our chocolate grows. Africa’s secrets resurrect the despair physician assistant Anna Haas buried in America. Her pregnancy and the discovery of boys bound by slavery in the cacao sector of the Côte d’Ivoire revive her childhood guilt. Her mother’s suicide claimed the lives of the two small sisters Anna had vowed to protect. Her failure to save them was unforgiveable. It will not happen with these boys. Her interference prompts a corrupt government to threaten the thriving mission and the lives of Anna and her friends. Her action also threaten her marriage. However, doing nothing will destroy her. The story weaves from past to present and across two continents as Anna fights for love, faith and redemption. Thanks for stopping by Carol. I’d never heard of Free Trade items until the other day. I’ll be sure to look for them in the future, not that I order much online, but if, and when I do, I’ll make sure they’re from a reputable source.